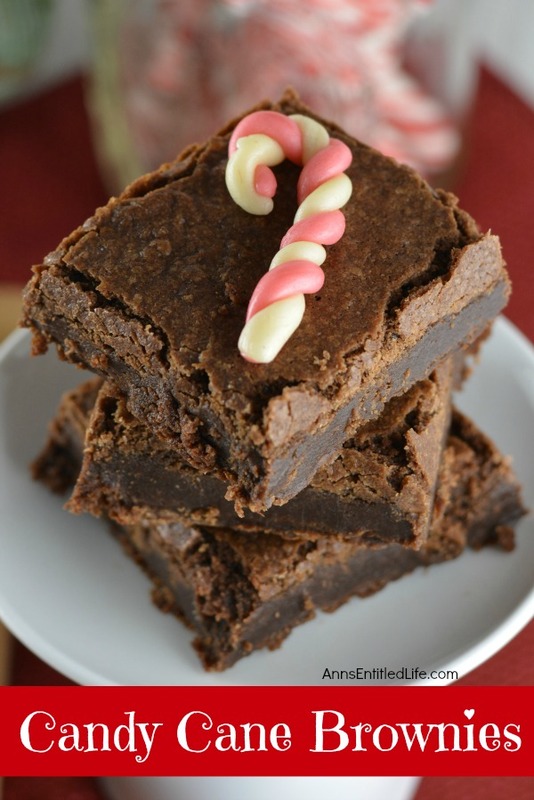 A peppermint delight, these tasty candy cane brownies are an easy to make holiday treat. Serve frosted or unfrosted, and decorated with cute, simple to make, candy canes. • In a large, microwaveable bowl microwave chocolate and butter for 2 minutes on high, or until butter is melted. Stir until chocolate and butter are completely melted and combined. • Stir in sugar; mix. • Blend in eggs, peppermint and vanilla extracts. • Add flour; mix well. • Pour into your prepared 13×9 pan. • Bake in preheated 350° oven for 30 minutes or until a toothpick inserted into the center comes out clean. • Allow to cool completely. • Use the foil to remove the brownies. • Untwist the ends of the tootsie rolls. Loosen the paper around the candy, but keep the wrapper on. • Place two tootsie rolls in the microwave, one cherry, one vanilla. Microwave for 5 seconds and remove. Check for softeness. (The cherry ones softened quicker than the vanilla.) If soft, remove, if not, microwave for another 5 seconds until soft. • Unwrap the softened tootsie roll. 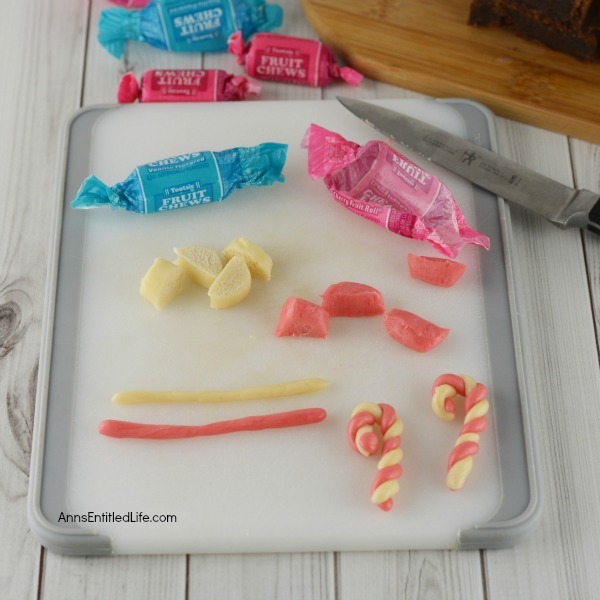 • Using a sharp knife, cut each tootsie roll into four pieces. • Roll each piece into a snake. • Twist one pink and one white snake and fold over the end to make a candy cane. You can secure the two ends together by pinching if necessary. • Set on a flat surface to harden again. 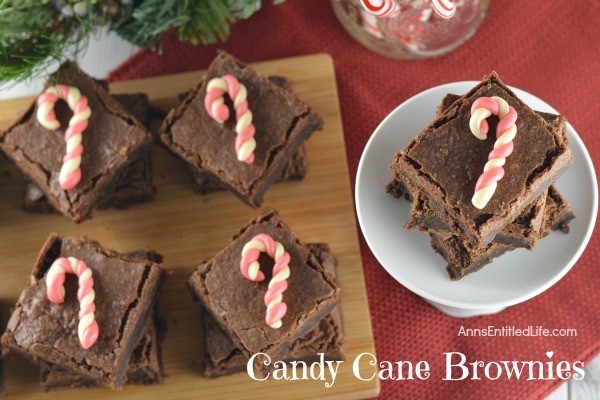 • To print the Candy Cane Brownies recipe click here. • Note: This recipe is based on the Kraft One Bowl Brownie recipe. 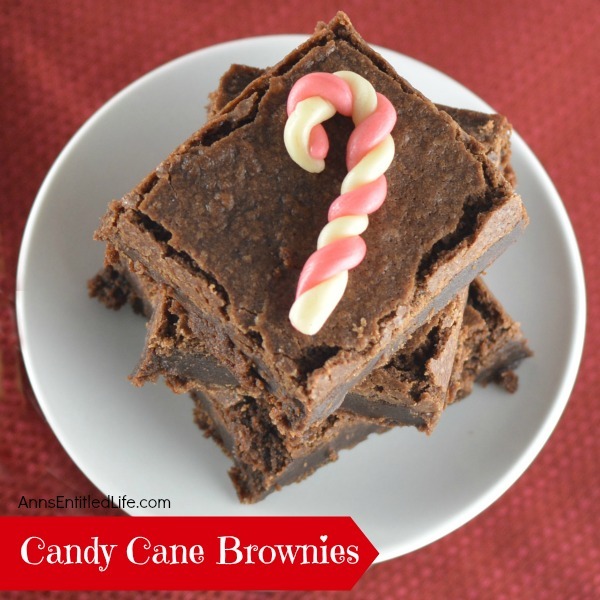 You can use any brownie recipe, but add Peppermint Extract and then top with candy canes made with Tootsie Fruit Chews!